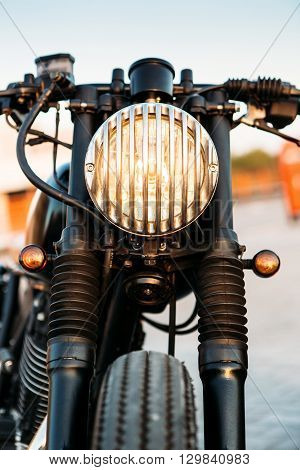 One vintage custom motorcycle cafe racer motorbike with grill headlight on empty rooftop parking lot during sunset. Hipster lifestyle student dream. Lamp is on and directed to camera.